"No man (or woman) is an island" may seem a dated proverb in the age of technology and personal independence, but for a Bradley, IL, native, it couldn't be a more accurate statement. 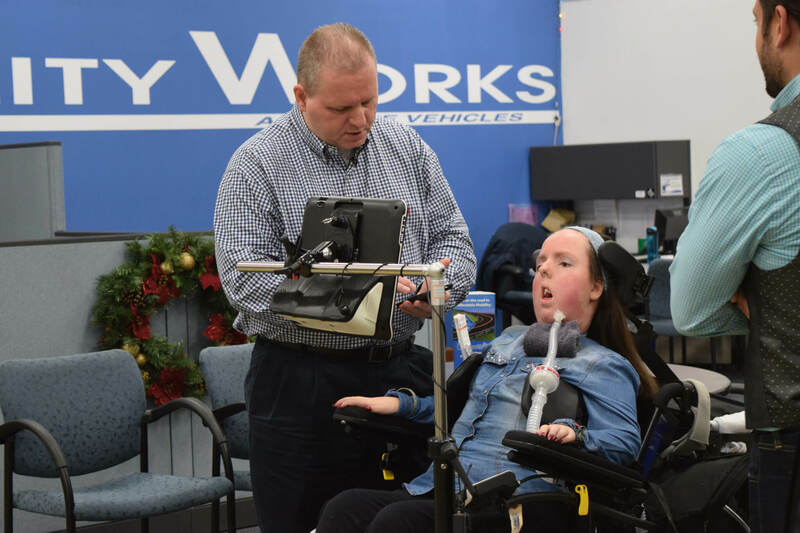 Lauren was born with spinal muscular atrophy, and relies on a power chair for mobility. Her father, David Gross, is her full-time caretaker, and together, Lauren has lived an accomplished life. Academic success, choir concert solos and more were common for her in high school, but college presented a new challenge. She has the mind, but lacked the means to get to class. Lauren took matters into her own hands and started a GoFundMe account and began to crowdsource the money she needed to pursue her dream of going to college. Her goal was $55,000. 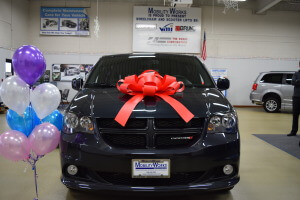 After a few months of work, she had over $61,ooo raised for her van. On Tuesday, Dec. 18, Lauren Gross had her life forever changed by hercommunity. 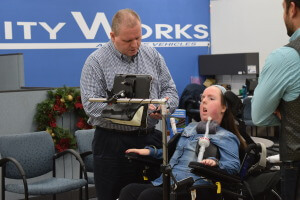 On that day, she and her father picked up their newBraunAbility wheelchair van from MobilityWorks of Plainfield, IL. On the same day, she received her letter of acceptance to Olivet Nazarene University, her college of choice. She is now on her way to becoming a third generation Olivet student. "In two days, the people around us in Chicago-land, and even in New England, states across the country... said they want to do something," said David Gross. "That just says something of the love people have." A close friend broke news of her GoFundMe efforts to her grandfather, an editor of an area newspaper. After they published an article about Lauren and her ambition, more people took notice, including WGN Morning News, which aired a segment about her. Word of Lauren's dream spread like wildfire across the area, and the support still has not stopped coming in. Even after her goal had been reached, donations to her Go Fund Me still continue to grow. Lauren plans to use the money for insurance on the van. "Can I take a second to thank everyone who helped me get here?" said Lauren. "Thank you! Thank you! Thank you!" 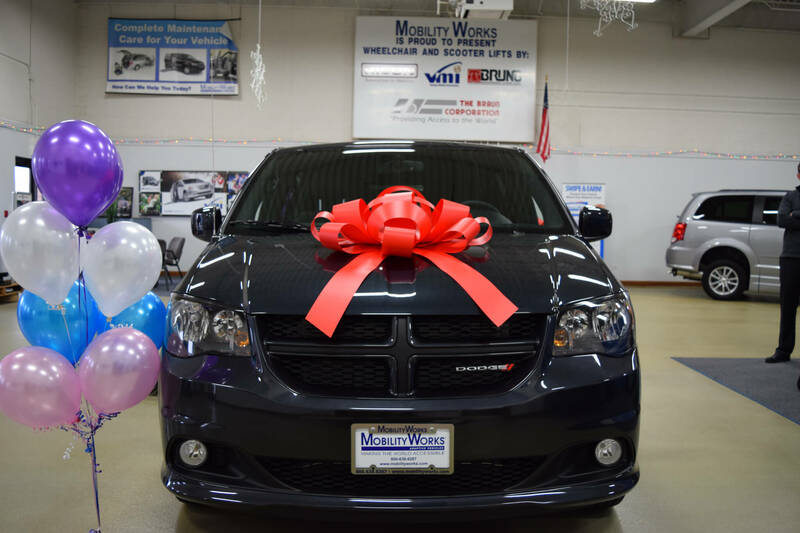 MobilityWorks Certified Mobility Consultant, Bob Baumgartner, worked with Lauren and David and helped them secure a van perfect for the duo. To see Lauren's GoFundMe page, click here. To see the original WGN news segment about Lauren, you can watch it here.